The Shaw JCC of Akron and the Jewish Community Board of Akron invite the entire community to remember the Holocaust with a memorial service, music and candle lighting ceremony on Thursday, May 2, from 7 to 8 p.m., at the Schultz Campus for Jewish Life. The commemoration is free and open to the public. This year’s Yom HaShoah Commemoration – or Yom HaShoah Ve-Hagevurah which literally translates as the Day of Remembrance of the Holocaust and Heroism – will feature the testimony of second generation Holocaust survivor and Stow resident Andrea Rabinovitz whose mother, Jo Ann (Hansi) Lustig Glickman, along with grandparents, Ludwig and Theresa, escaped Nazi Germany in 1939, while other family members were sent to concentration camps and later died. 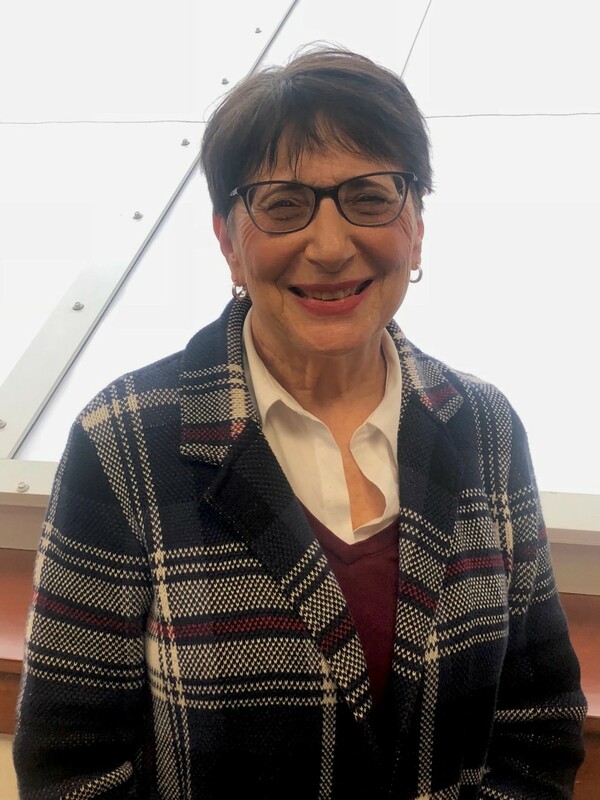 Rabinovitz offered to present her mother's story of survival after learning that Holocaust survivor Stanley Bernath - who was slated to speak - unexpectedly passed away on March 26. “I feel now is the time to share my mother’s story with the community, so we will never forget what happened,” she says. On May 2, Rabinovitz will tell the story of her mother’s journey and her challenges of growing up in Nazi Germany prior to WWII, saying goodbye to family members who stayed behind and arriving in the U.S. as a 10-year-old child. As the situation in Germany became more and more oppressive, many people looked for ways to escape to many different parts of the world. After several years of correspondence with cousins in the U.S., the Lustig family was issued visas and finally scheduled to leave on September 1, 1939, from England, the same day Hitler invaded Poland. With few belongings and little money, they made the arduous journey from Munich to Hague, Holland, and then onto London before finally boarding a ship to New York. While the Lustig family settled in Appleton, Wisconsin, life continued to deteriorate for her great grandparents, Albert and Lotte Kahn, who remained in Munich. From 1939 to 1943, their day-to-day struggles were memorialized in “Letters from the Ashes,” a compilation of letters written by her great grandfather that Rabinovitz’s mother later transcribed in 1995. She found the original letters in a shoebox in her mother’s apartment after she moved into a nursing home. The letters now reside in the U.S. Holocaust Museum Archives in Washington, D.C. Even in the face of adversity, her great grandfather continued to have enduring hope and deep faith they would soon join the Lustigs in Wisconsin. According to the American Red Cross, Albert Kahn died at Theresienstadt in January of 1943, and Lotte Kahn died later that year in Auschwitz. Rabinovitz and her husband Myron live in Stow where they relocated from Green Bay, Wisconsin, in 2010. They both serve on the Beth El Congregation Board of Directors, and she is a member of the Chevra Kaddisha. Her daughters Molly, Abby and Eden also live in the Akron area. Her granddaughter Grace attended the Mandel Early Childhood Center (ECE) and is a first grade student at The Lippman School. Grandson Benjamin attends the ECE. Holocaust Seminar explores "The Eroding of Rights in Nazi Germany"